It is difficult to admit that you were wrong when you are the king of the world. But at some point the reality will catch up with you and you will be forced to admit you were wrong. If your trading pattern looks like a roller coaster or constant losing it is time to stop thinking that you are hurt by the market and that the whole world is against you, Your Majesty. After I effectively ruined my account from $21,000 down to $1,500 it was that “aha” moment to me. So last month I stopped my madness, stopped trading SPX market, closed the last losing trades and decided to move on. I returned back to the strategy which worked and I did a good thing by doing so. My March 2016 is again a profitable month. Very profitable. 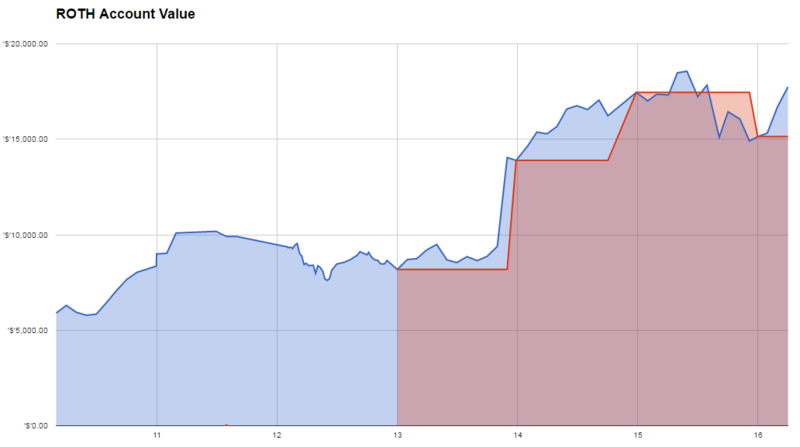 In March I was trading options only using dividend growth stocks as underlying. It is a very profitable strategy but that doesn’t mean you can be careless and reckless in trading. 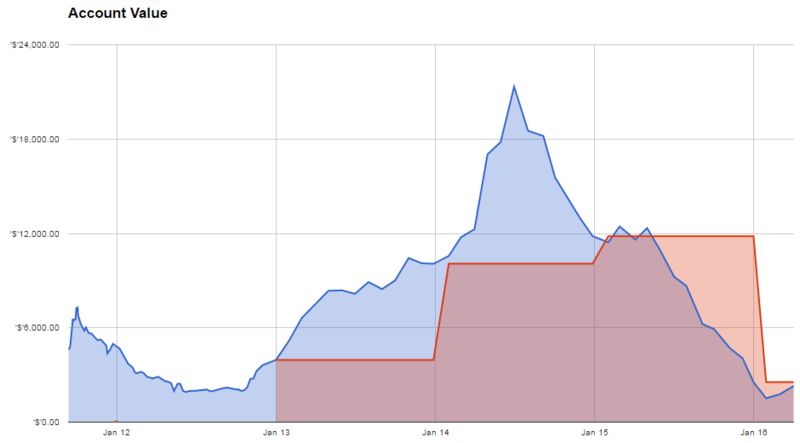 The biggest challenge I faced in March was using my limited funds in check with my rules and not over trade. It was very tempting to take trades when you have so much available margin sitting in your account. But my rule is to use only 50% of my available buying power and keep the rest sitting in the account in case my positions get assigned. I use margin, not cash secured put trading so it is very important to check your buying power status often so you won’t get caught off guard. I do that check every day. Every evening I look at my available buying power and compare it to my positions to see if I am good to invest more or sit tight. 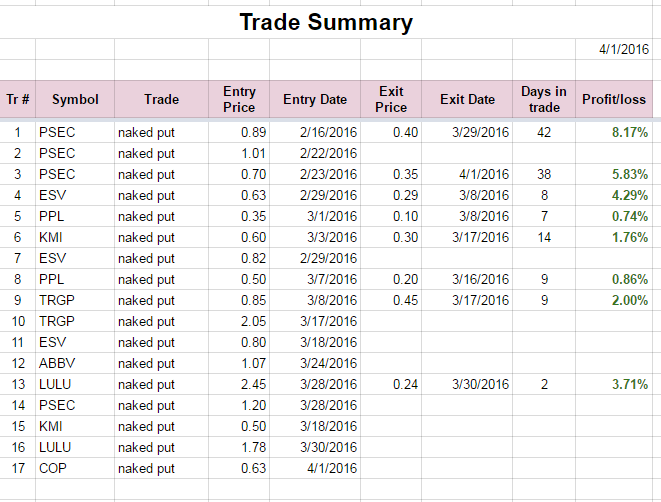 My March trading was very profitable and hopefully I back on track to make money. In March my account went up by nice 29.55%. I started the year with $1,518.73 and today, at the end of March I am up to $2,292.19. Nice 50% turn around and although my accounts are still down, I am slowly making it up from that hole I dug up for myself last year. At first I started with cheaper stocks (although riskier than standard stocks) but later as my account grew I could start adding pricier stocks such as ABBV, PPL, LULU, etc. The trades performed well, some I was able to close early for 50% profit, some are still on waiting for them to either close or expire. I have a few trades which are in the money and I expect them to be assigned next month. The stocks which I expect to be assigned are ESV, TRGP and KMI. If it happens I will immediately start selling calls against those stocks. 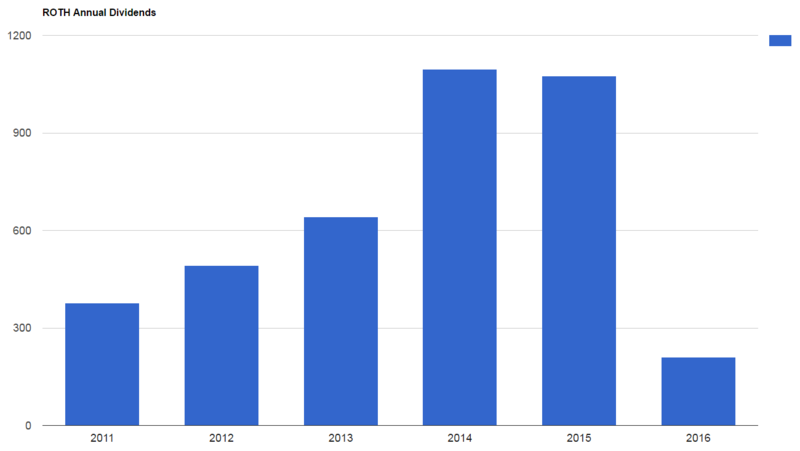 Dividend investing is a steady growing and slow building process. But I have time. I mentioned many times on this blog why I am trading options and invest into dividend stocks. I trade options to create income now, but build my dividend stock portfolio for the future when I will not be able to trade anymore (due to age for example, or death, so my kids will benefit from the portfolio in case they won’t be able or knowledgeable to trade). Unfortunately, my portfolio is weighted more towards energy stocks as I expected oil recovery to perform better then what we are seeing these days. A few of the stocks recently cut the dividend and I could feel that as my dividend income dropped. Even stocks like COP cut the dividends. But I am optimist here. I have 20 years in front of me. Unless these companies go belly up, I should be OK. Recent cut hurting my income was by VNR so my income dropped again. My annual dividend income is down from $894.81 previous month to $887.98. The account grew by 6.30% from last month, overall I am up 17.21%. Dividend income was also up from last month. All dividends were reinvested back to the companies which generated them. My accounts increased from previous month and are making 8.45% (up from previous month) for the year. Great job cashing in on options in March. Question – Your options trading fee is really low. Which broker do you use? I am using Dough.com. I have my accounts with TD Ameritrade but if you register and link your accounts to Dough.com you can ask for a fee structure that of the Dough.com and they will change it. Oh it was scary for sure and very frustrating seeing my account shrinking and I couldn’t stop it. But I wanted to trade options and make money, create a consistent income which could be used to buy dividend stocks for later years. So I was testing and learning. And part of such process is losing money. I found what strategy works for me now and I will stick to it. I “only” made 5 percent this month, but I am very happy with the result. Chri, any income even small one is a great achievement. Trading and/or investing in the stock market is the hardest way to make easy money. So making 5% per month, man it is a great result! How many people can make it? That will be 60% annual gain! I added you to my blogroll. Thanks for the kind words! You are right. there are many people out there, who dont make 5%, even in a year. I like your strategy with the lower priced shares and the longer expiration date. Will come back soon und look how you are doing. I added you to my blogroll too. With this type of stocks there is a risk to be buying overpriced stocks and that can hurt you in covered call strategy. So higher strikes and standard lazy stocks are better. Glad to see you have found again a trading strategy that earns you money in stead of costing you money. It is amazing how much money you make with such a small margin account. It blows my mind. For now, I have a much more conservative approach. Less risk and less money that I make. One day, I will look into this margin trading.